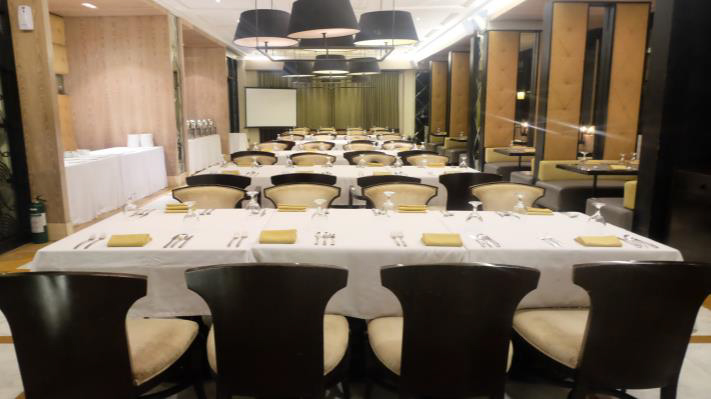 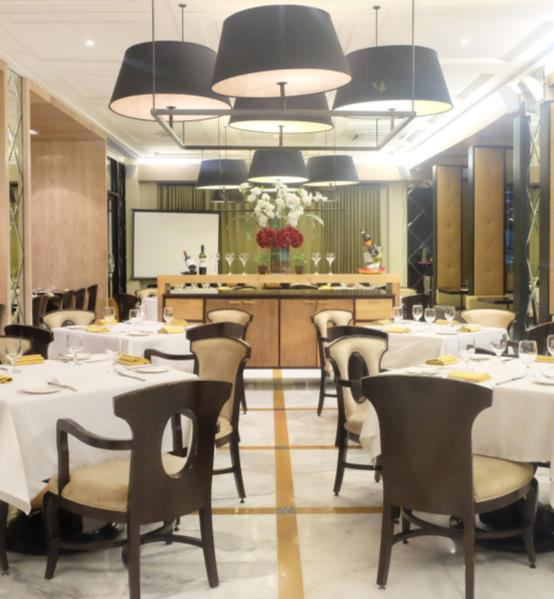 The application restaurant of Enderun Colleges promises not only to be one of Manila’s dining destinations, but also the definitive venue for once-in-a-lifetime occasions. 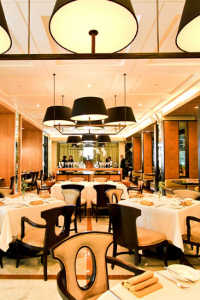 Inspired by the retro informality of the French Moderne Movement, the restaurant’s stylish interiors evoke the casual elegance of a contemporary Parisian bistro. 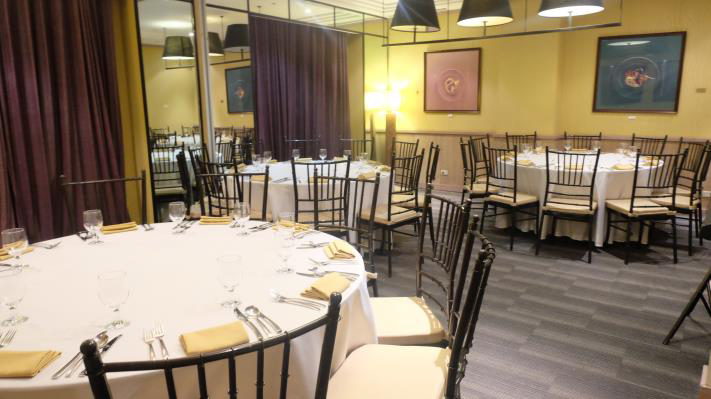 The student kitchen and wait staff, working under the watchful eyes of the college’s Culinary and F&B faculty, brings freshness and a unique charm to the Restaurant 101 experience. 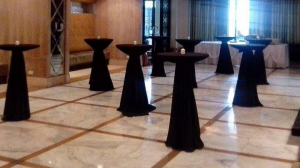 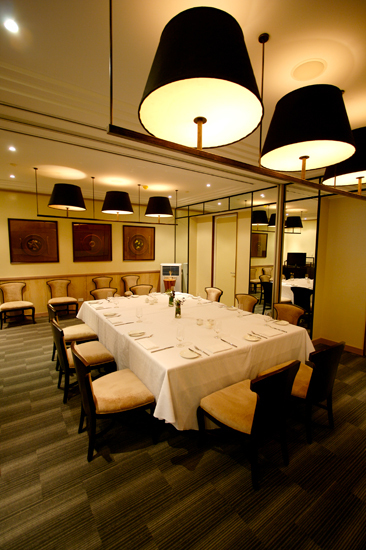 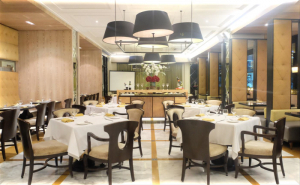 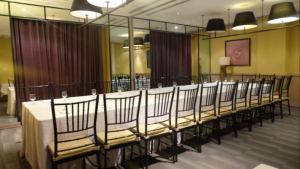 Restaurant 101’s stunning interiors include two elegant salons for private parties and meetings. 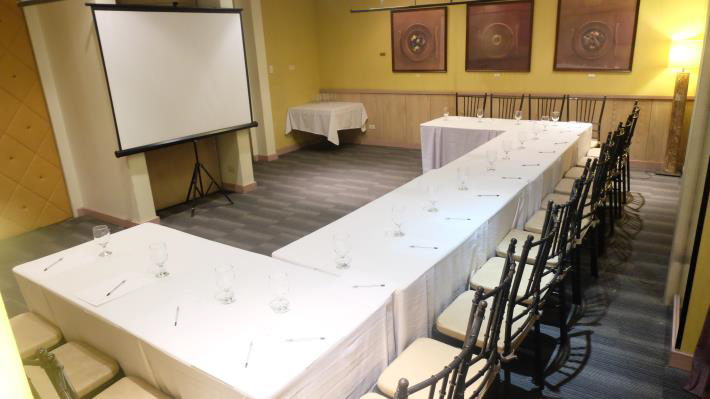 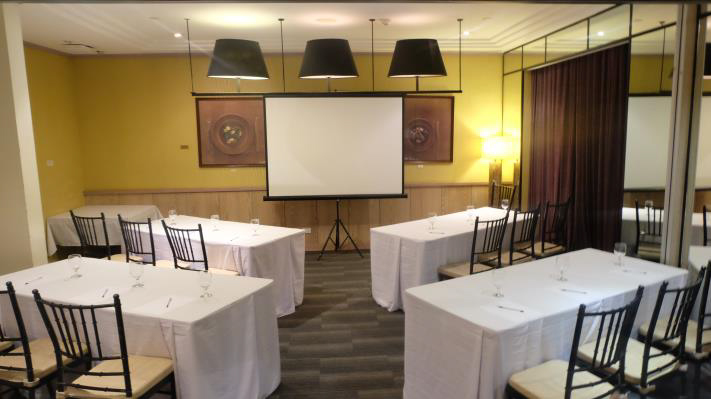 Each room is appointed with state-of-the-art amenities, and configured to accommodate a wide variety of business engagements. Adjacent to an impressive grand staircase, Bar d’Etoile is enclosed by the Culinary Center’s iconic glass box, which bathes it with natural sunlight by day, and with warm ambient lighting by night. 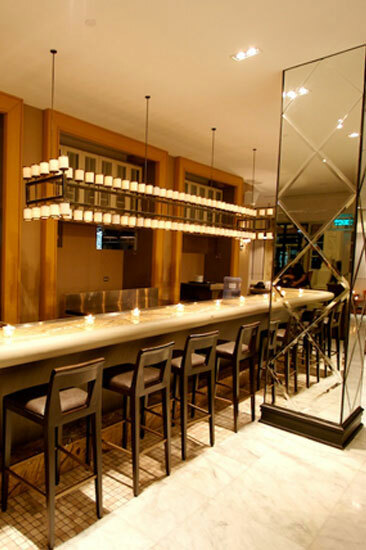 The bar serves signature drinks and an excellent pre-dinner menu.